I never want to stop making all these amazing memories with you. I really can’t stop thinking about you. I can’t describe the way I feel when I’m with you. I just love it. 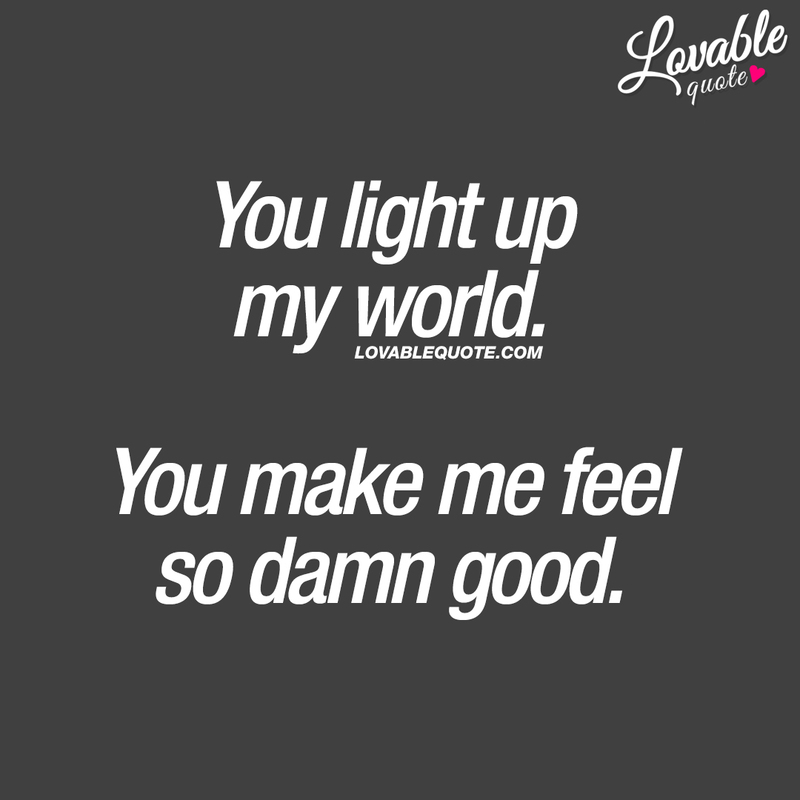 You light up my world. You make me feel so damn good. I know it sounds crazy, but all I can think of is you. That feeling when you look at me and smile.. I’m addicted to that feeling.